Evaluate coders current understanding of the changes in ICD-10 CM and ability to accurately apply the ICD-10 codes to scenarios. This is a pre-test only for the "Improving Accuracy in ICD-10-CM Coding for Home Health Care" course. The pre-test is designed for individuals who have been through ICD-10 training that wish to gauge their understanding of the changes implemented with ICD-10 CM codes as well as their ability to accurately apply them. The pre-test may also be used by home care agencies to evaluate coders understanding of ICD-10. PLEASE NOTE: There are no contact hours awarded for this pre-test. For individuals that prefer to review the changes implemented with ICD-10-CM or practice application of the codes before testing their knowledge, please skip this pre-test and proceed directly to the Improving Accuracy in ICD-10 CM Coding class. 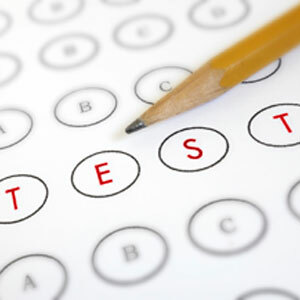 Individuals will have one opportunity to pass the pre-test with a score of 80% or more. Individuals that score 80% or better will be issued a certificate of completion for the pretest that indicates the score achieved. PLEASE NOTE: This certificate is not appropriate for professional continuing education requirements. Individuals that score less than 80% should proceed to the Improving Accuracy in ICD-10-CM course to review the ICD-10-CM changes and practice applying the codes. This course is designed for individuals responsible for coding and classifying health data for agencies.